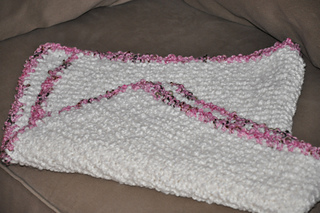 Garter stitch knitted (easy) blanket with crocheted pink camo edging. 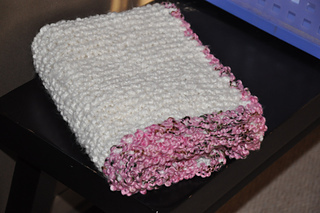 Used a 10mm P crochet hook for the edge. 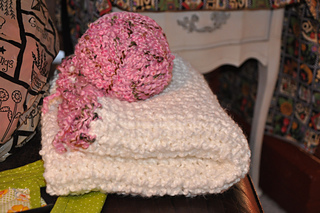 I love this pink camo yarn!